SprezzaBox is a fashionable accessory subscription service for men. Each month they provide curated and dapper lifestyle and grooming products. This box was sent to us for review purposes. Check out the review process post to learn more about how we review boxes. 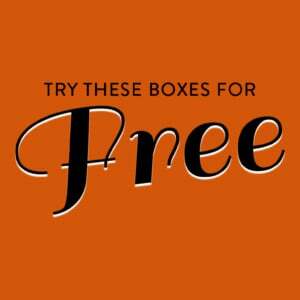 LIMITED TIME DEAL: Use coupon code BONUSBOX20 to get a bonus box with your subscription! Be sure to enter coupon codes in the ‘Promo Code’ field at checkout (not the Referral Code field). The Products: 4-5 lifestyle items and 1 grooming product. Ships to: US (shipping included) and Canada (+$6 shipping; customs may apply) Please see their Shipping Info page for further details on worldwide orders. Such a refreshing and airy spring theme this month! Some light blues and forest greens and even a peppermint scent! This is the kind of tie that would be ideal for wearing with a tweed hunting outfit in a damp forest. The deep, rich green and dark navy blue with a raw silk-like texture (actually 100% polyester) give it a sense of countryside rustic elegance that would look great tucked behind a large pair of binoculars. I love the colors and texture of these socks and the houndstooth pattern really distinguishes them from any other pair I own! They are a little thinner than most, so they’ll be great when the weather warms up a little. They feel great even though they’re only 65% cotton, they’re also 27% polyester and a smattering of other things. These feel very cheap and they are outrageously large, even for aviators. I tried to take a dignified picture of them on my face but gave up in the end. The hinges are very stiff and the frame feels like it’s going to bend irreparably every time they are opened. Probably quite handy for trips to the pool or the beach, but I struggle to believe that they’d survive more than one trip in a bag. I like a simple tie clip. This one is really tiny and understated and will surely go with almost any shirt, tie and suit combination. It’s made of brass and feels sturdy and solid. Despite its diminutive size it clips and holds a tie to a shirt placket very reliably. I’ve never felt the need to own a shoe horn before. They always seemed to exist exclusively in fancy shoe stores and thus were only for commercial purposes and not to be personally owned. I had no idea that I was damaging the heels of my shiny leather dress shoes every time I was putting them on without using a proper tool. Thankfully those days are over, my heels will never gain another crease now I have a solid steel Profitters Shoe Horn to help me get my feet in. Smells like peppermint and tingles a little when applied. This is a very thin and light creme that is absorbed quickly into the skin. My skin is very sensitive and I didn’t break out, which tingly things usually make me do. Verdict: This is a nice collection, a sharp pre-emptive start to a classic spring wardrobe with each thing bound to be used at some point as the weather warms up. Everything except the sunglasses are high quality and feel good to handle. The total value of everything in the box comes to $128.07, so as always the SprezzaBox is a great deal at $28 a month (and free shipping). Can I still get this box if I sign up today? Yes, while supplies last. Value Breakdown: This box costs $28 + free shipping, which means that each of the 6 items in the box has an average cost of $4.66. This is less than the lowest listed value of any individual item in the box. Check out all of our SprezzaBox reviews and the Men’s Subscription Box Directory! What did you think of the January 2019 “The Grand” SprezzaBox? Bob is an engineer, photographer and podcaster who’s focuses include technology, food, art and popular culture. He can be heard analyzing the movies and performances of Charlize Theron and Keanu Reeves on two podcasts, Theronathon and The Keanu Review. Among others Bob enjoys Sprezzabox which furnishes him with stylish accessories and interesting little trinkets that he wouldn’t otherwise think to buy for himself. How do subscribers rate SprezzaBox? 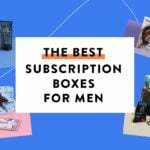 Do you subscribe to SprezzaBox? Add your rating now! "I’ve already skipped May. If the spoilers don’t get better for June??? Idk... I love that monacan hair oil but a..."
"That's the new member variation for April. If you're not a new member it's pretty weird!" "You have to be an active subscriber, so if you aren't then you would have to buy both."